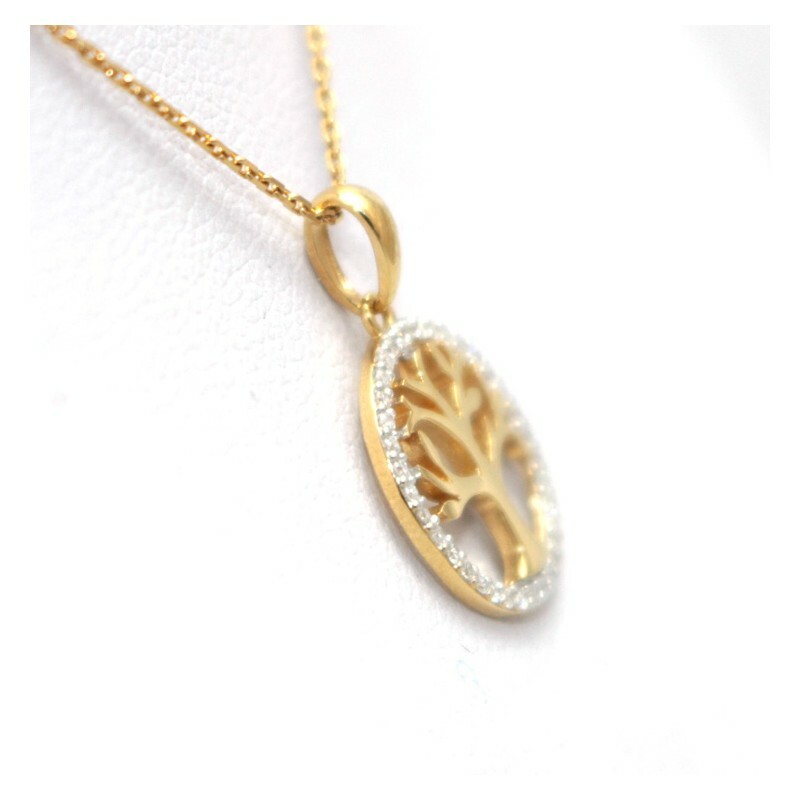 This charming pendant features a gold tree set in a circle which is mounted with a row of round brilliant cut diamonds. 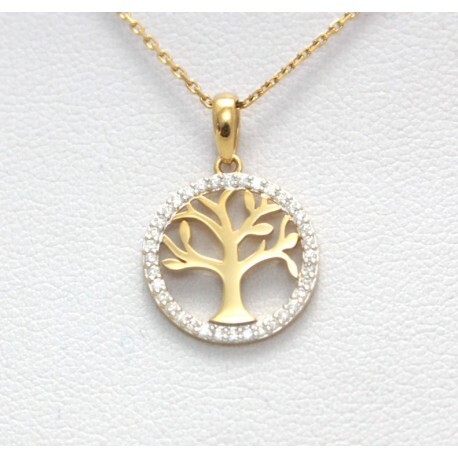 9ct yellow gold chain. 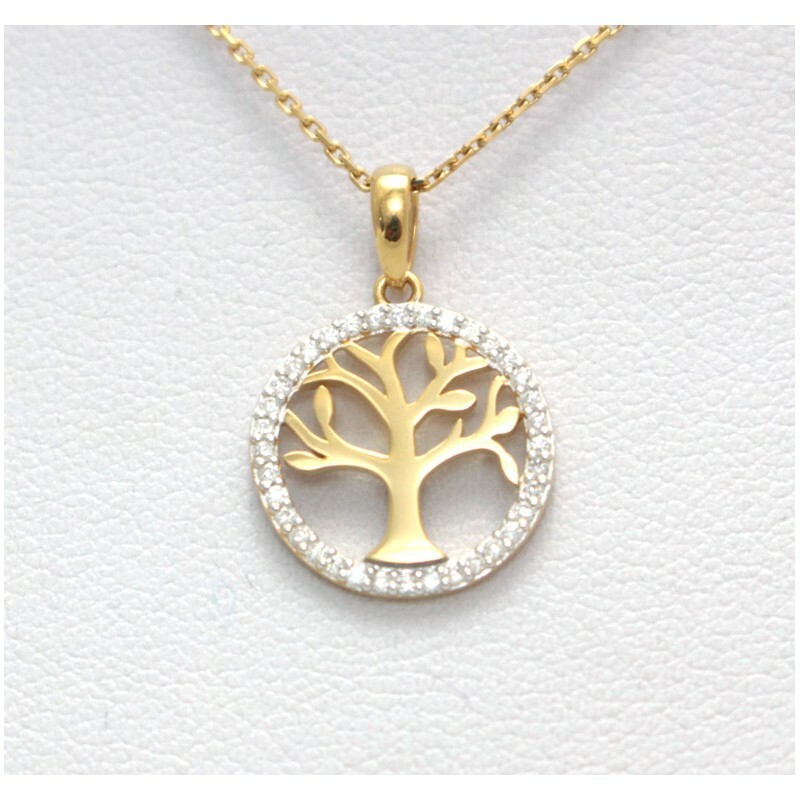 The pendant measures 14mm in diameter.